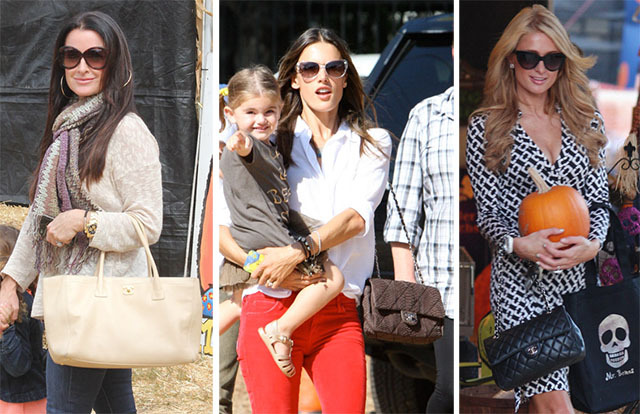 Who are Tamara and Petra Ecclestone and why do they have so many amazing handbags? There is perhaps no more beloved celebrity handbag than the Hermes Birkin. By herself, reality star and objective of Internet anger Kim Kardashian has spent hundreds of thousands of dollars on goodies from the French house, chiefly among them her seemingly ever-growing collection of Birkins. Say what you want about everything else she does, but homegirl has her bag game locked up. Hailing from the other side of the pond, Petra Ecclestone is a 23-year-old heiress to the Formula 1 Racing fortune and the new owner of the Spelling Mansion, the most expensive piece of private, residential real estate in the country. When your family money can buy those kinds of digs for you and your new hubby, just imagine what kinds of bags it can fill it with. By the looks of it, Petra may have turned Candy Spelling’s famous gift-wrapping room into a Birkin room. (Or maybe Candy already had a Birkin room; the details are unclear at this time.) Who wore it better? Check out the larger pics of both ladies after the jump and then vote in our poll.